The device is equipped with a modern laser scanner with incredible accuracy, performance and speed characteristics. 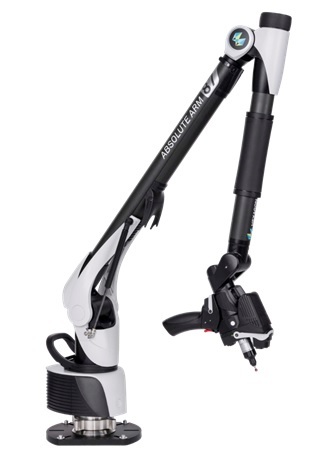 Design of the Absolute Arm 7-axis 832 has undergone many changes, bringing the ergonomics, durability and accuracy of the device to a new level, and to achieve maximum operator convenience radically redesigned mount handle, laser scanner, probes, changed the mechanism of weight compensation and inertia of the device. Portable color display and additional controls provide full control of the device without the need to look at the workstation’s monitor. We invite you to meet latest technology in Metrology and dimensional control in production at our training and exhibition center "Synergy" (Kharkov, Kirpicheva street, 22).